At Spicy Spirit, we have a strong focus on producing great and fresh content for our clients. You may have heard that in Search Engine Optimization, “Content is King,” and we certainly believe that this saying rings true. 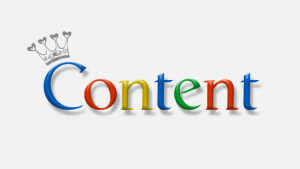 Great content not only brings SEO benefits to a website but also provides value to customers and improves the image of a brand. How do we help our clients with content marketing? First, we identify topics that a client’s target audience would like to see via online research and direct interviews with people within the target audience. For example, for a law firm client, we learned from interviewing small business owners that some online services help people form business entities — or even register trademarks — by themselves. Such “Do It Yourself” solutions seem cost-efficient but frequently backfire because one small error in a legal document may cost a fortune. We believe there is a need to explain these risks and thus enable business owners to make informed decisions. Next, we draft an article outline including our key research findings. We then share this outline with our client, who completes the article with their subject matter expertise. The outline is instrumental in giving clear direction for our client to communicate their knowledge and expertise to their customers. Lastly, we conduct editing on the final product. Since many business owners tend to use industry-specific jargon, we need to translate their writing into common terms and help people better understand the content through specific examples. Content marketing requires aptitude and knowledge from both marketing professionals like us and business owners themselves. At Spicy Sprit, by working closely with our clients, we provide great content that benefits both our clients and their target customers.